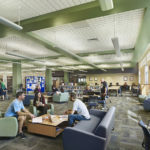 Computer workstations, individual study spaces, and a classroom, that doubles as a computer lab enhanced with the latest technology, have energized the library to become “the” destination spot for the entire campus community. 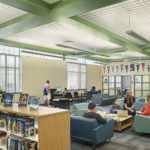 Students and faculty regularly meet and collaborate with each other both physically and virtually through the infusion of next-generation collaborative technology in the small group study rooms. 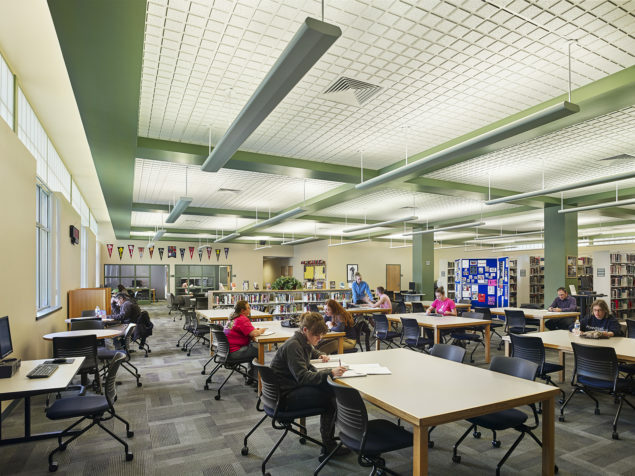 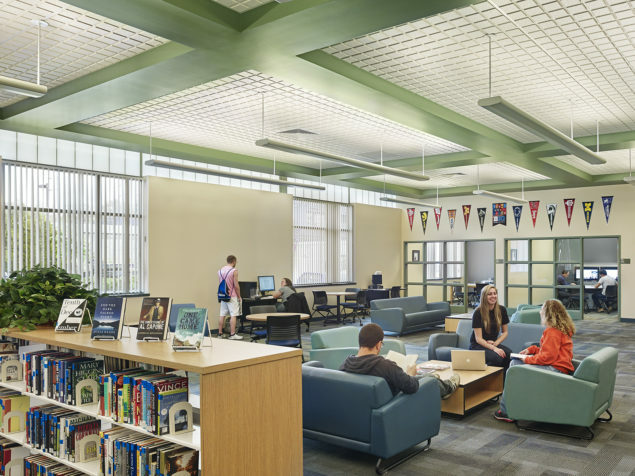 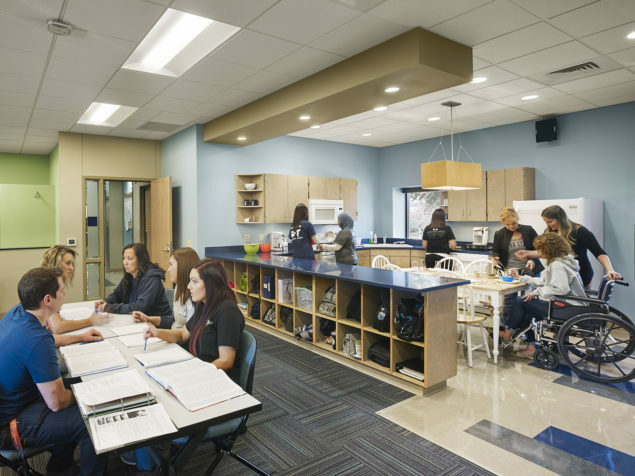 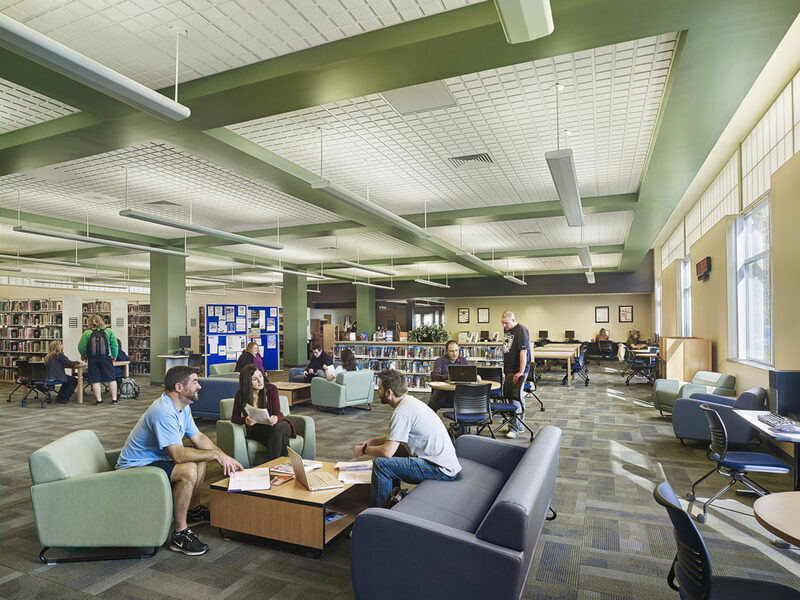 WTW worked closely with library staff to coordinate a stack reduction strategy that maximized high demand areas for collaboration and informal study/lounge spaces. 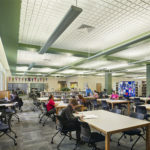 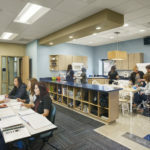 All finishes were updated employing a color and material palette that updated the look and feel of the space while minimizing the budget by allowing reuse of existing systems and furniture.